What follows is not directed at most Northwestern students, but it is really, really directed at some of you. It is important to note that my words are my own and no one else’s, and certainly do not represent the people for whom I work. 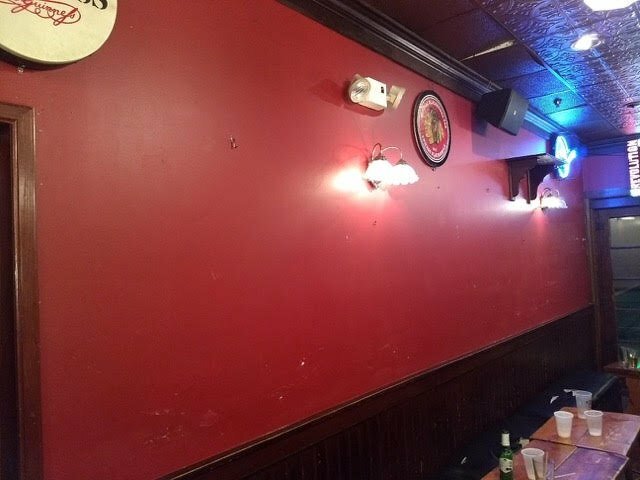 On Thursday night, Tommy Nevin’s Pub was looted by members of your student body. This is not hyperbole. Our walls are bare. Our dart boards are gone. You were our guests, almost exclusively. That’s not a great look. We happened to catch most of it this time. Why do we have to catch it in the first place? Why be so worked up about this? It’s just stuff, and soon, it will all be relocated to somebody’s mantlepiece anyway, so what’s the point? The point is, it is unquestionably not your stuff. Every picture that was unceremoniously ripped off the wall could tell you a story from 20-something years ago. And more to the point, Evanston is full of people who have been here that whole time who could tell you a story about each one picture, should you care to ask, rather than try to steal it. We see those people all the time. They remember. They’ve been asking us about this or that memento for months. For the most part, we see you on Thursday night, for about two hours, and are happy to have you. But it is not your stuff. In the coming days, should you happen to drop by, I humbly ask that you not make the nuances of the Evanston-NU relationship into a blinding neon metaphor by trying to steal from us because you don’t know how to decorate your dorm room. One day, some of you will rule the world, but most of you won’t — because that’s how it works. It is not a bad thing to be aware of the community in which you exist. Some of you may never learn that, but most of you will. Because that’s how it works. By the way, we are closing soon. Most of this stuff is for sale. Just ask.